Brazilian driver Felipe Massa announced that he will retire from the sport at the end of the 2017 season. The 36-year-old will make his second and final retirement after he was enticed back to Williams last year to replace Valtteri Bottas after the latter has secured a Mercedes seat. The Sao Paulo native has scored 36 championship units so far this season and occupies the 11th place in the Drivers’ Standings. His best race results were two sixth places which he scored in the Australian and the Bahrain Grand Prix. As his team-mate Lance Stroll’s place is secured at the Grove-based team due to the backings of his father Lawrence Stroll, there is only one seat available at Williams. There are several drivers in the running for that job: Paul di Resta, Robert Kubica and Pascal Wehrlein. Massa was also in contention for the vacant seat, but as he added previously he was keen to clarify his future before the end of the season. As Williams was in no rush to take the decision and the recent tests of Kubica and Resta at the Hungaroring indicated that the pair was at the top of the ranking, Massa decided to give up his hope to continue his GP career. The 11-time Grand Prix winner added that he enjoyed his four-season-long journey at the successful Williams team and he is sure his last two races will be dictated by emotions. "I take so many great memories with me as I prepare for my final two races in Brazil and Abu Dhabi, and although they will be emotional, I am looking forward to ending on a high note and preparing for a new chapter in my career." Deputy team principal Claire Williams added she was happy that the Brazlian driver was part of the Williams family for four years. "I would like to thank Felipe for all he has done for the team over the last four years. "We are especially grateful that he agreed to postpone his retirement from Formula 1 for a year, after Valtteri joined Mercedes, which demonstrated the depth of the relationship we built during our time together. We appreciate that it wasn't an easy decision for him to return, after having such an emotional send-off at the end of last year. "On behalf of Sir Frank, and all the team, we give our very best wishes to Felipe for the future." 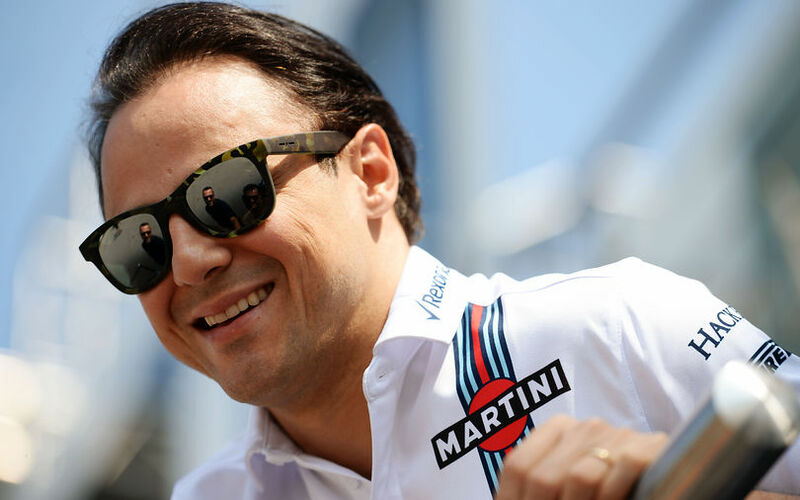 Felipe Massa is tipped to join Liberty Media to take up a role as an advisor after the Brazilian hinted that he would be keen on upholding Formula One’s new Commercial Rights Holder in its push to make the sport even more exciting and stronger. The 16-time pole-sitter is also believed to continue his racing career in the Formula E series.